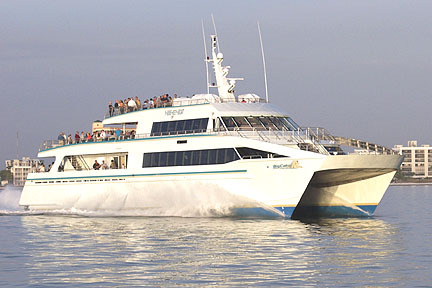 Miami Beach 411 : Planner : Tours : Search results for Cruise to Key West . Sailing from Miami to Key West. Note: All Fares and Schedules are subject to change without prior notice. Travel time is directly related to prevailing weather/sea conditions and is approximately 3 1/2 hours in each direction. Cruise to Key West in our Tours List.